After a brief lull in its activities, the Taliban armed group stormed a government building in central Afghanistan early on Thursday, killing 15 people including three top local officials. The gun battle continued for more than an hour. According to Associated Press, the blistering attack in the Khwaja Omari district was the latest insurgent assault in Ghazni province. The province is reportedly under Taliban control. The attackers planted mines to prevent government reinforcements from coming and quickly took responsibility for the attack. The insurgent group’s spokesman, Zabihullah Mujahid, told AP over the telephone that after the attack in Khwaja Omari, not far from Ghazni, all security posts in the district were under Taliban control. The district centre, however, is still in government hands. Meanwhile Kabul based TOLO News network reports that Ali Shams Dost, the district governor of Khwaja Omri district of eastern Ghazni province was killed along with seven policemen in na Taliban attack early Thursday. Nine other security personnel were also wounded. 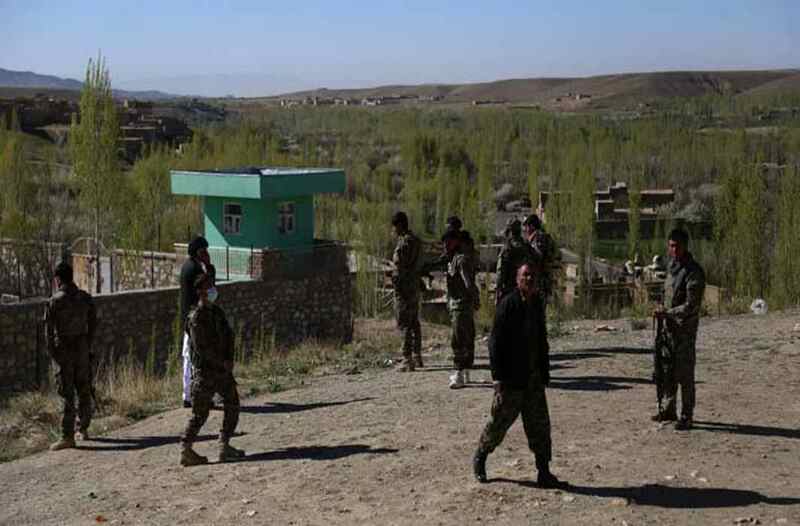 Quoting provincial police statement, the report said that the incident happened at about 2:00 am local time after Taliban insurgents attacked the district governor’s compound and police check posts. “After the attack the forces called for air support and 27 Taliban were killed during the airstrikes and clashes,” it added. Taliban said they have captured the district, a claim that was rejected by the local police officials, the TOLO News said. The province of Ghazni is located south of Kabul lying along a key route. Travel by road between Kabul and Kandahar province, a traditional Taliban heartland, is considered dangerous because of large swaths are now under Taliban control. Mohammad Arif Rahmani, a lawmaker has said the district governor, intelligence service director and a deputy police official were among those killed in Thursday’s attack. Ramazan Ali Moseni, a deputy chief police in Ghazni province, has reportedly said that seven police officers and five members of the country’s intelligence agency NDS were also killed in the attack. However, Moseni has also claimed that 45 Taliban were also killed and eight members of the Afghan security forces were wounded. The new agencies based in Kabul have expressed their inability to confirm the casualty figures because of the remoteness of the area.